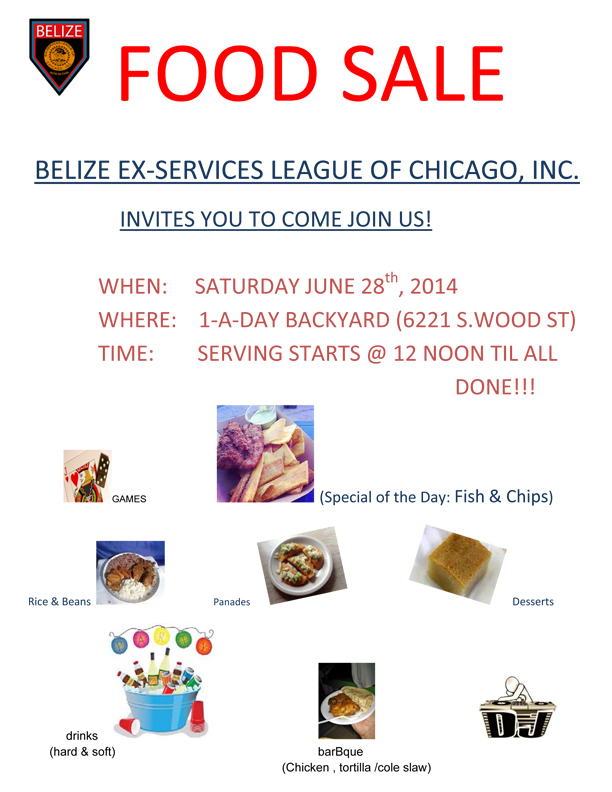 June 28, 2014: Food Sale – Belize Ex-Services League of Chicago, Inc.
BELIZE EX-SERVICES LEAGUE OF CHICAGO, INC. INVITES YOU TO COME JOIN US! ‘TIL ALL DONE ! ! !